Cafe and Restaurant : Delicious design for delusions food and drink offerings! 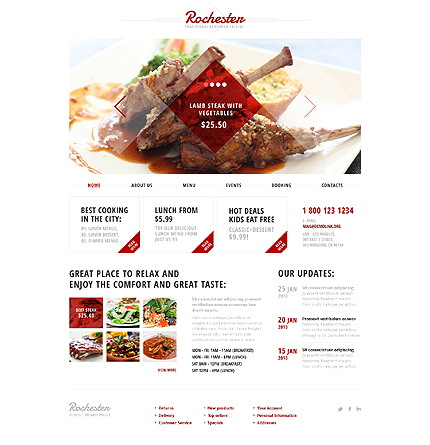 Template 42986 is themed for restaurants, cafes, pizzerias, bars, diners, pubs, catering services, wineries, etc. Bonus with every purchase With each template purchase you get Free Web Design Elements: photos, fonts, icons, 3d models, sounds. Buy template 42986 from zeronese today and get access to the Free Clipart & Free Web Design Elements library.